Case Keenum knew he would not be the long-term solution at quarterback for the Los Angeles Rams. That doesn’t mean he had to like getting benched for the number one pick in the 2016 Draft, Jared Goff. While he has moved on and is playing well in Minnesota, in the back of his mind, no one likes to get benched. 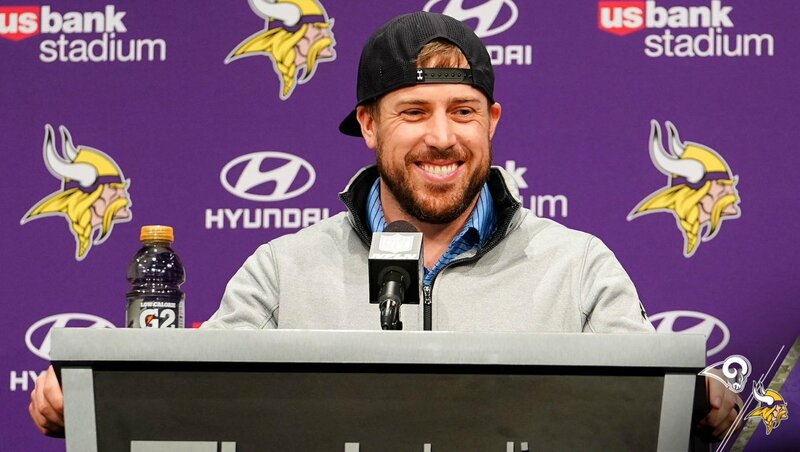 Leading up to Sunday’s game against the Rams in Minneapolis, Keenum didn’t talk about getting revenge on his former team. So, when he got it, some part of him had to feel vindicated. Keenum led the way with 280 yards and a touchdown, but he got a lot of help from his friends. Adam Thielen was his favorite target of the day. He caught seven of the nine passes thrown his way for 123 yards and a touchdown, a 65-yard bomb in the fourth quarter. Latavius Murray paced a run game that produced 171 total yards with 95 yards and two touchdowns on 15 carries. 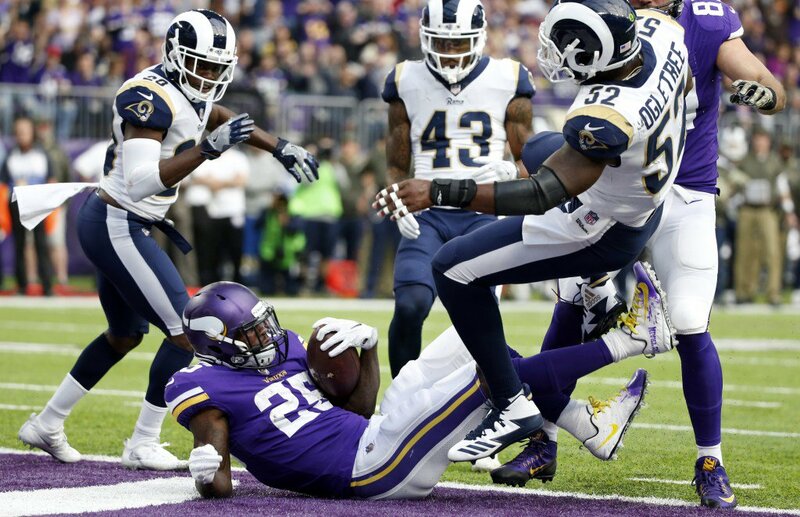 While the Vikings offense played well against a tough Rams defense, it was the Minnesota defense that saved the day. The highest scoring offense in the league was held to just seven points. Todd Gurley scored on a six-yard touchdown run on the opening drive of the game. But Gurley did little after that and ended the day with 15 carries for 37 yards (and three receptions for 19 yards). Without a run game to take some pressure off, Goff didn’t fare any better in the passing game (23-37 or 225 yards). “A lot of teams do good on that first drive. It kind of messes with you because you think you’re going to do good the rest of the game,” Gurley said after the game (ESPN). The game was close in the first half. Minnesota tied it up at 7-7 early in the second quarter with an eight-yard touchdown run by Latavius Murray. Murray’s second touchdown early in the fourth quarter that gave the Vikings the lead, 14-7. Adam Thielen’s 65-yard catch and run for a touchdown on Minnesota’s next drive iced the game and closed out the scoring, 21-7. The Rams have to be concerned over their lack of offense in the second half. They managed only two first downs on their first four drives. If they are going to do anything in the postseason, they to score points against the good defenses. Otherwise, all they will be is the most improved team in the NFL this year. It’s nice, but who cares? They have no margin for error in the NFC West. But they will be hoping the Falcons will help them out by beating the Seahawks on Monday Night Football. They’ll have a tough time getting back on track next week when the New Orleans Saints come to town. The Vikings will look to widen their division lead with a win over the Detroit Lions on Thanksgiving.